We’re in the midst of winter now, and poor road conditions are to be expected. A lot of things can cause problems on the road- from vehicle malfunctions to driver errors. But poor weather can be particularly dangerous. Statistics show 73% of weather-related crashes happen on wet roads. Also, 46% occur during rainfall. More rain will come in the next few months, so you should be prepared to drive in wet conditions. New drivers should take notes, but even those who are used to it can brush up with a few tips. Here are some of the ways you can stay road safe during rainy weather. While taking precautions will help you prevent any collisions, it still helps to know what to do in an accident. Make sure you’re fully insured and know what measures to take in the aftermath of a collision. Even as a pedestrian, you may get hurt or injured on the road. In any situation where you experience a road injury, consider calling an accident lawyer. It can often help you deal with the financial side of things. These simple preparations can help you year round. But they’re especially helpful during winter when accidents are more prevalent. Worn or deflated tires can increase the risk of hazards on wet roads. Make sure you check your tread depth and inflate your tires. It’s fairly simple to do this yourself, although you may want to get your car professionally serviced. It’s a good time to consider getting new tires. A fresh pair will handle winter roads well. The Department of Transportation recommends replacing tires once they reach 2/32”. It also helps to have a spare one handy. While you should always practice careful driving, it’s even more crucial when it’s raining. In normal conditions, you should follow the 3-second rule when it comes to maintaining distance from cars ahead. You should increase this to 9 seconds in rainy conditions. It can take longer to come to a complete stop due to slippery roads. If you start to skid, keep calm and continue to steer in the same direction. Applying your brakes too fast can send your vehicle out of control, so try to avoid this. You should also avoid hard braking and sharp turns, as cars can be harder to handle in wet conditions. 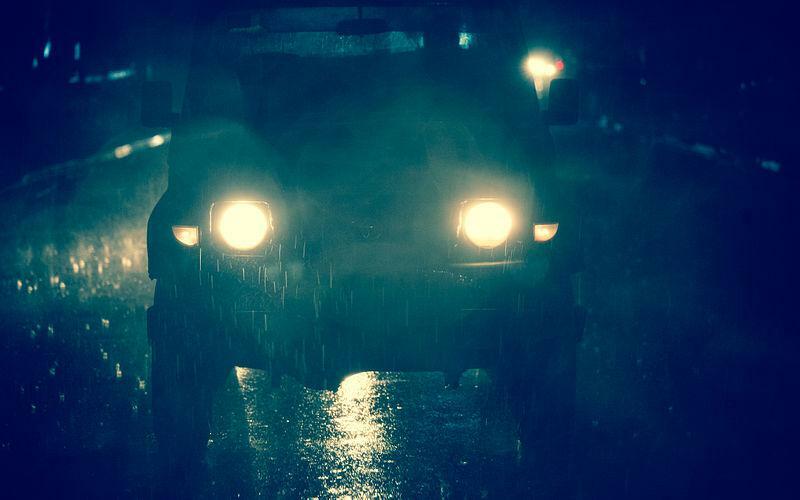 Using headlights is extra important in adverse weather conditions. Rain can often affect your vision of the road, so use them when necessary. Remember to turn on your fog lights if your vision is severely reduced. Your wipers are also necessary. Clearing rain from your front window will ensure you get a clearer view of the road. Make sure your lights and wipers are fully functional to prepare for the rain. Knowing what weather to expect before you leave your house can help. If it’s going to be a rainy day, you might want to head out to work earlier. Putting yourself in a rush can tempt you to drive fast, which is never a good idea when it’s wet. You’ll also need to be aware of conditions such as fog and floods. In cases where you don’t need to drive, you might be better off avoiding it if the weather is bad.